Since making his debut for Barcelona, Lionel Messi has been a nightmare for quite a few defenders. 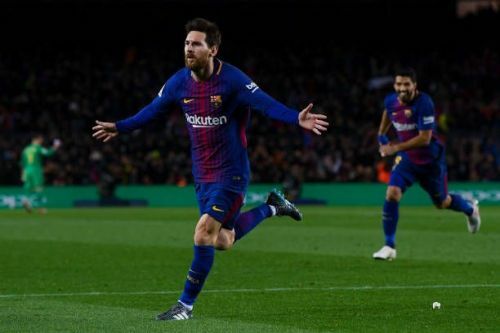 Over the years, Messi has scored a few solo goals but some of them are just so good that even professional footballers find them unbelievable. Messi's poise, fine ball control and quick feet make it pretty hard to get the ball off him when he is in full flow and quite a few defenders will attest to the aforementioned having just stood there when La Pulga slalomed past them to score all on his own. Before this match, Barcelona were six points behind their arch-rivals Real Madrid. At the El Sadar Stadium, Osasuna played really well to prevent Barcelona from scoring in the first half. Osasuna did all they could but they couldn't put a hold on Lionel Messi. It was Messi who breached the tight Osasuna defence by scoring the opening goal of the match but the main highlight of the game was Messi's second goal. He made a brilliant solo run in injury time to score one of the finest goals of his career.